Any guesses on the surprise for the online release? Seems like they always put out one. Only other weddings I can think of are Mulan and Shang’s, and Anna and Kristoff’s mock wedding with the trolls. bcol and AshleyV like this. Two questions, for a militantly anti-Facebook pin collector how else does one get the link? And what time does the link go live? pattimarie and krand1276 like this. 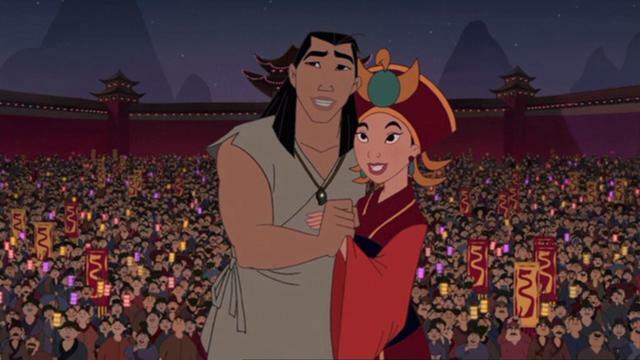 I'd pay double for Mulan's red dress and Shang's "I just fell off a bridge and clawed my way out of a river" look. I would pay triple if they'd do a pin of Gaston by himself. Is this from Mulan 2 (sorry, I never saw the whole thing)? Anna and Kristoff would be pretty cute. Eric and Vanessa? I suppose having Anita and Roger would be 101 Dalmatians overkill. MommaIvy and Ajk like this. We have wonderful members here who post the link for those of us non-Facebookers. It's much appreciated y'all! Poohlady5, MommaIvy and pincrazy like this. Incredibles is a good call! I forgot about that. Why on earth would we deny you lovely folks the opportunity to sit in front of your computer for endless minutes, constantly refreshing 27,000 tabs in an effort to break through the "all operators are busy; please stand by for the next available ..."? Poohlady5, pincrazy, Ajk and 1 other person like this. WE NEED A SURPRISE CALHOUN AND FELIX! @timeerkat, I know you're with me on this one. cadien, pincrazy, MerlinEmrys and 2 others like this. Even if you don't have/use/like Facebook, you can still access the DSSH Facebook page (without having to set up any kind of FB profile) to get the link at release time. pincrazy and DisneyJ like this. pretty Omi, caw caw rawr, chubs191 and 3 others like this. Belle & Beast/Prince also seems like a strong contender, even if they don't have a proper wedding scene in the film. slbrabham, MommaIvy, watzshakinbacon and 1 other person like this. Good to know, sometimes posts on Facebook require you to be logged in to see them though. Don't Elizabeth and Will technically get married in PotC? That would be an awesome pin. pretty Omi, Poohlady5, splashmtnman and 3 others like this. Yeah, that's true for pin group pages and personal profiles, but most (if not all) businesses allow you to see their posts. I just confirmed that the DSSH posts are still viewable even if you're logged out/don't have an account, so it should be working fine on release day. Just in case you're paranoid (like I am) about getting to the link as quickly as possible. Hooray!! At least there's hope of trying to buy these. Missing Aurora and Philip, even though they technically don't show them getting married...would love a Belle/Gaston wedding, but would settle for Belle and Beast. Not that i want to add competitors but you don't need to be on Facebook to get these. You just need to go to their facebook page which you can do on a regular computer, etc. Just when Facebook asks you to sign in click "not now" and you can go ahead and browse, click the lilnk when it's ready, etc. Yeah, Incredibles had a wedding scene. I don't think Wall-E did. Or LandT (although haven't seen that one in ages). I'm not sure I want to give this a Like or a Laughy Face. ladyroselie, MommaIvy and ItzaPinfan like this. DSSH is singing happy birthday to me with that pin. I can't wait to see previews! Hmmmm. 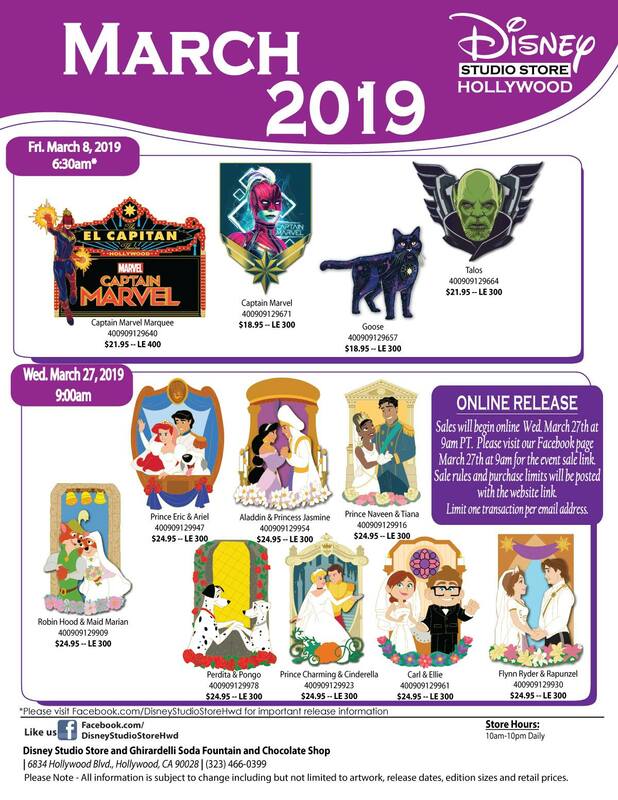 To try for these pins or not. Aurora and Philip are missing, but that could be a surprise. I think Mulan and Shang would make a much better surprise. I’ll try for them. Why not. Worst that could happen is not getting them. Best is I have a flock of hopefully good traders. pincrazy and Ajk like this.